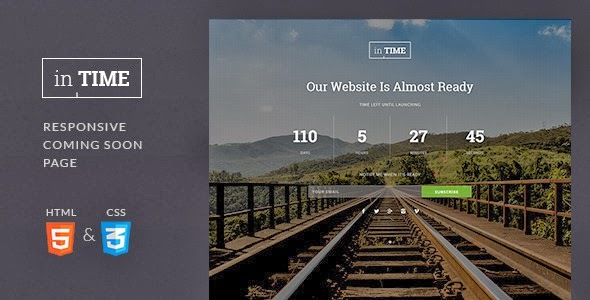 inTime is a responsive, modern and clean under construction/coming soon template. This minimal template is being packed with a countdown timer, ajax subscription form, social icons and about page where you can write a little bit about yourself and add your phone, email and address information. inTime comes in three versions: image background, image slider background and YouTube video background. Item Reviewed: inTime - Responsive Coming Soon Template 9 out of 10 based on 10 ratings. 9 user reviews.